There are numerous ways to get involved with American Blues Theater. Your donation is tax deductible to the extent of the law. Discover the various possibilities in which you can support us, such as giving, attending events, and purchasing merchandise at our American Blues Store. 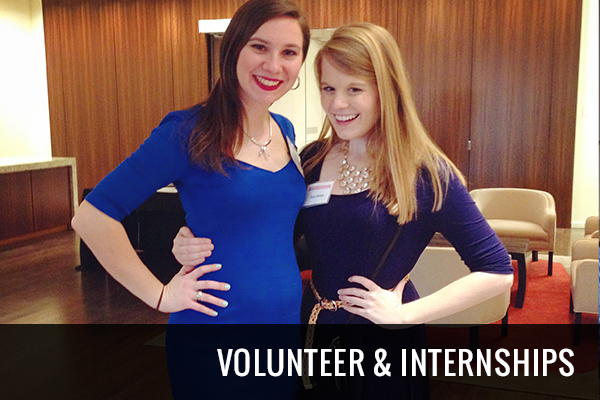 We also have volunteer opportunities for professional assistance and internships. We welcome all artistic inquiries too! We host two special events each year – Blue Bash & GutterBall. 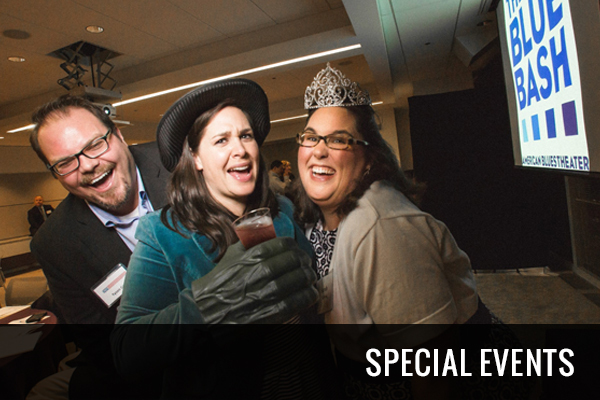 Each event raises funds to support our artists and programs. We are always looking for great directors, designers, production staff, actors, and manuscript submissions. Learn more here. We are honored to recognize the following contributors who enable American Blues Theater’s artistic vision and arts education program. 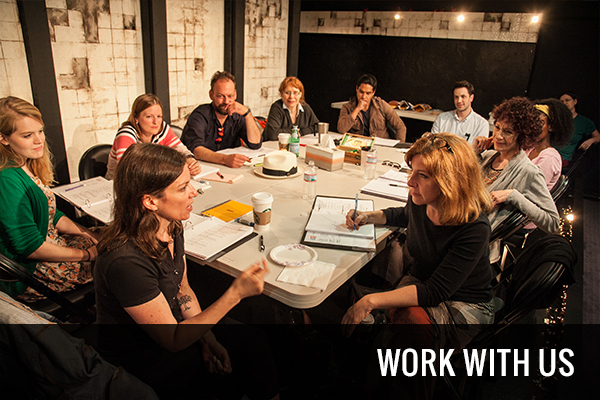 Work in professional theater while earning college credit or add to your existing resume while re-entering the workforce. 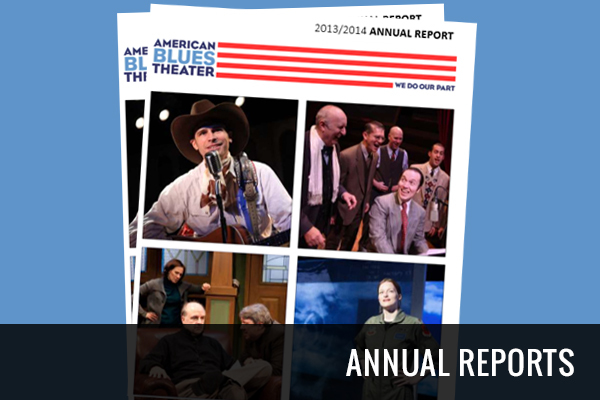 American Blues Theater is 501(c)3 not-for-profit. 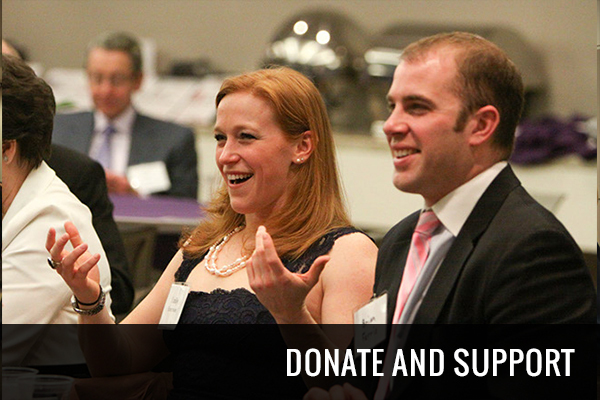 Your donation is tax-deductible to the full extent of the law. 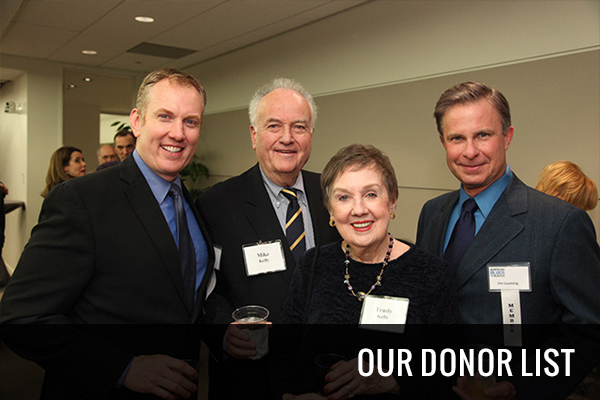 American Blues Theater relies on the generosity of our donors to create art. Read our detailed and audited Annual Reports. Subscribe to our monthly newsletters for performance updates, special offers, information about our artists, and exclusive events!